The bundled console elements can be used in three combinations: TV, portable, and desktop. The model supports connection to up to 7 identical consoles for multi-player gaming. There are not many games available for the console yet. 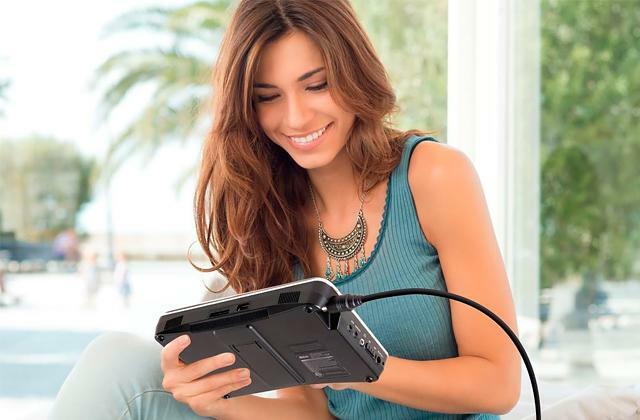 This portable gaming device has a truly unique design concept which enables full immersion into a world of gaming with wide possibilities and allows you to play on the go, alone at home on a big flat panel TV, or together with your friends. 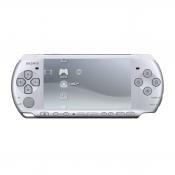 Classic, well-rounded model Sony PSP Slim&Lite can be connected to a TV enabling you to enjoy games on a bigger screen. You'll need to get used to the on/off button placement. Excellent handheld game console, which found a worldwide recognition for its quality games and convenient controls. 3D screen provides a high-quality image from any angle. 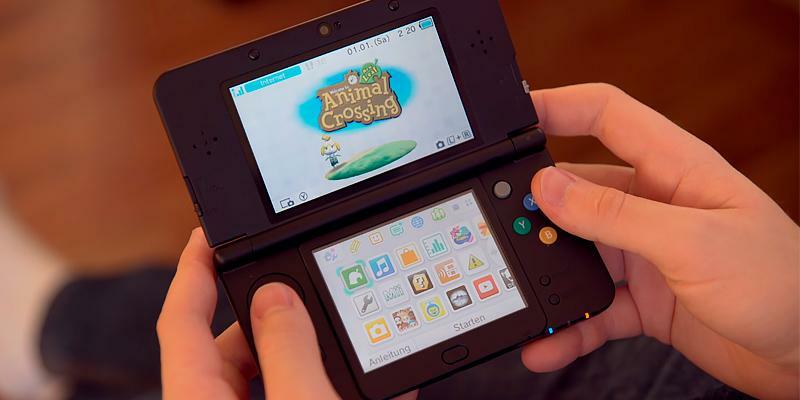 Also, Nintendo 3DS XL offers users an option to transfer information to other devices via the wireless technology. 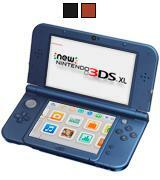 Exceptional new model in the 3DS series, which comes with a much better display, new controls, and new possibilities. 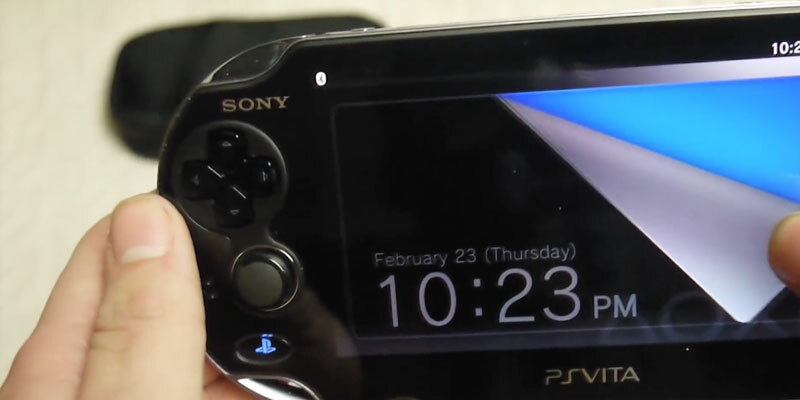 PSP Vita can be used as a streaming device for such consoles as PS3 and PS4, allowing you to keep playing, even when your console or/and TV is not near you. The memory card is essential in order to play games on the device. It’s one of the best portable gaming systems available on the market! This console will be a wonderful addition to a collection if you or your child owns one or more stationary consoles of the same brand. Downloadable into memory, Games from PS One and PSP systems, etc. More affordable compared to other Nintendo handheld game consoles. 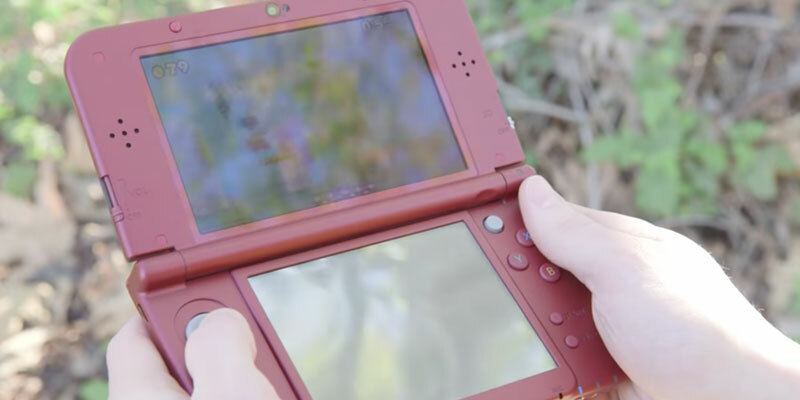 The case of the model is one-piece, which makes Nintendo 2DS almost unbreakable. The device doesn't have any 3D functions, unlike others from its series. 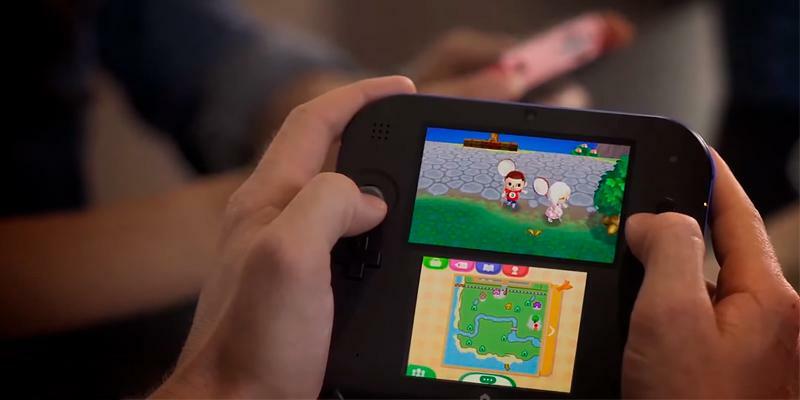 2DS is a mono-block console from Nintendo series. A more simple version of other models, which still maintains the same functions. 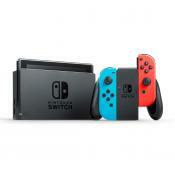 The new model from the leading manufacturer of game consoles - Nintendo Switch is able to amaze even a seasoned gamer not only by its external design but also by the opportunities it provides for video gaming. One can not state for sure whether it is a portable or a full-fledged home game console because it has the best features of both device types. First, let's see what exactly you get when buying this model. 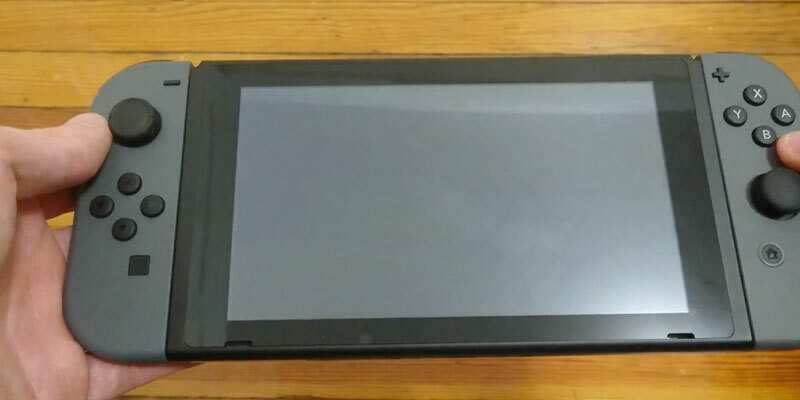 The Nintendo Switch kit consists of the main console equipped with an LCD capacitive touchscreen with a 6.2-inch diagonal size and 1280x720 pixels resolution, two Joy-Con controllers (left and right), a holder for Joy-Con controllers, and a docking station. All these elements can be used in different combinations, providing several options for your interaction with the system and diversifying your gaming experience. If you want to play on-the-go, just attach the controllers to both sides of the main console and get standard portable gaming console with a built-in display. 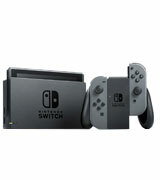 When at home, you can insert the console into the docking station, connect the station to your TV or monitor via the HDMI interface, and join the two Joy-Con controllers with each other via a special holder to get a full-fledged Grip controller and enjoy gaming on a big screen of your TV or monitor. You can also play with your friends by giving each of them a Joy-Con controller and holding a competition on virtual battlefields. 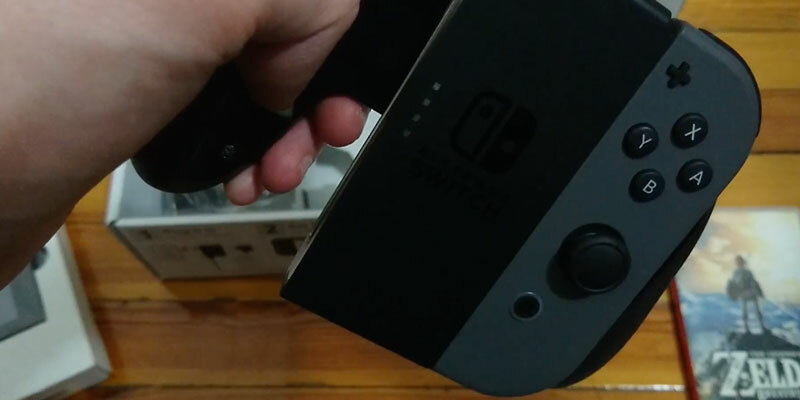 And even without a TV available, you can lean the main Nintendo Switch console against the kickstand, pair the controllers with it and have fun using the console in the desktop mode. The main Switch console is equipped with a powerful custom designed NVIDIA Tegra X1 SoC (system on chip). The internal storage space is 32GB with several gigabytes reserved for the system and the rest available for downloading games and other multimedia content. Games can be downloaded from special game cartridges or directly from the Nintendo eShop online store. The company purposefully made cartridges unpleasant to taste by applying a bittering agent Denatonium Benzoate to their surface so that children do not chew or swallow them, thereby making cartridges more safe for children. At the moment, users are offered many different games of many genres and types with the game list expanding all the time. It is possible to connect up to 8 consoles to each other and use the multiplayer mode to play together. Moreover, you can subscribe to the paid Nintendo Switch online service and play with friends around the world. For easy communication during your gaming sessions, you can use a voice chat. This handheld console by Nintendo supports the Amiibo service that offers you additional content in games to go with your figure and enables you to share achievements and impressions with other players. The Joy-Con bundled controllers deserve special attention. The first thing to note is that there are two console supply package versions with Joy-Con controllers being either gray or multicolored (red and blue), depending on the version you choose. 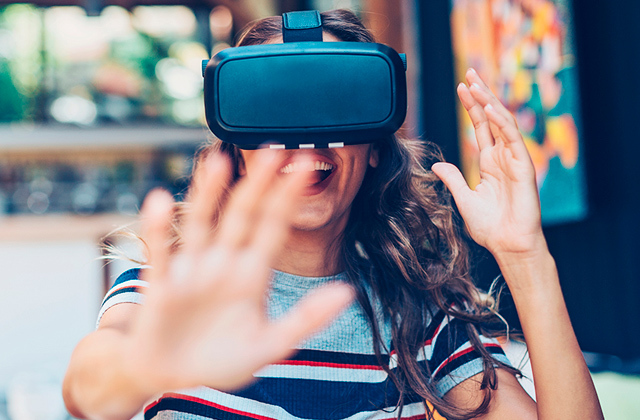 Each controller is equipped with an accelerometer and a gyroscope, and the right controller is additionally equipped with an infrared motion camera. 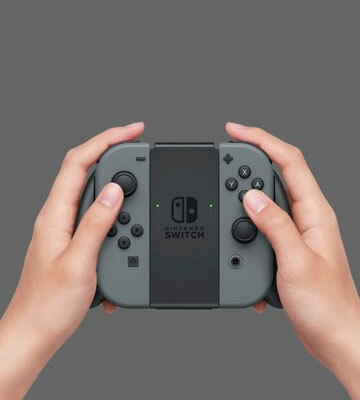 The controllers can be used as separate elements, allowing two users to interact with a game at once, or as a single unit called Joy-Con Grip. In addition, you can attach Joy-Con straps to the controllers to use in games based on movement and inertia mechanics. This switch is good for Zelda. Other consoles don't have Zelda. Nice game unit, slim light weight. The handheld mode is nice and the LCD is top notch. The great thing is that it auto sleeps if you stop playing it. Saving battery juice. The developers of this Sony PSP Slim & Lite 2000 Console knew what they were doing. 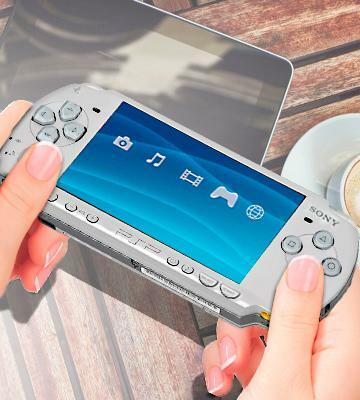 In comparison to its predecessor PSP-1000, this model is 33% lighter and 19% slimmer, so holding it in your hand has become more comfortable. 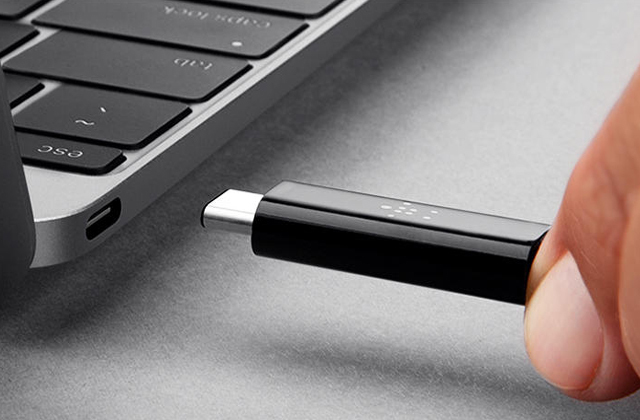 Now you can put it into your pocket where the previous model didn't fit all that well. All the buttons are more sensitive and respond better, too. You will feel every push and, consequently, your moves will become much more precise when you play. 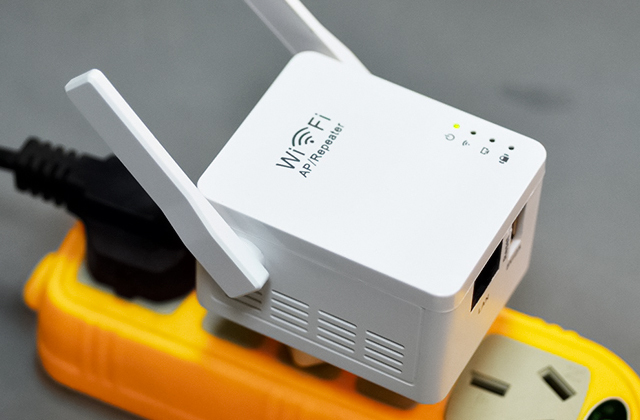 Instead of an outdated IR port, this Sony gaming console has a Wi-Fi switch. And, finally, the speakers in Sony PSP Slim & Lite 2000 Console are placed at the top front, which enhances the sound quality. This model features a TV output, which means you will be able to connect the handheld gaming console to your TV and enjoy the playing on a big screen. In its price range, this Sony console stands out thanks to this feature. However, there are several "but"s. If you use the console to play video from UMD disks or Memory Sticks, the video of up to 720x480 pixels will play out well, but as for the games, the resolution is the "native" 480x272 pixels. 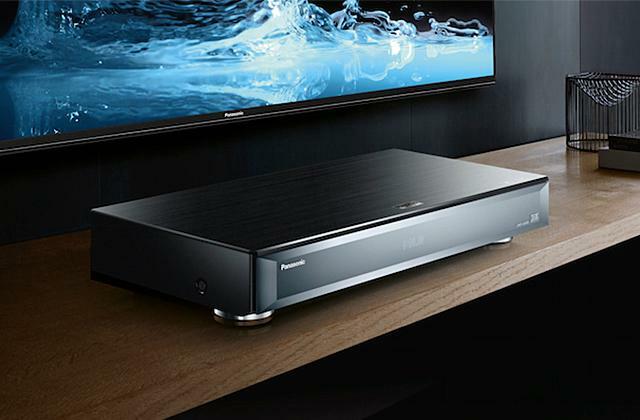 If your TV does not feature a progressive scanning technology, the playback will be in a window mode. 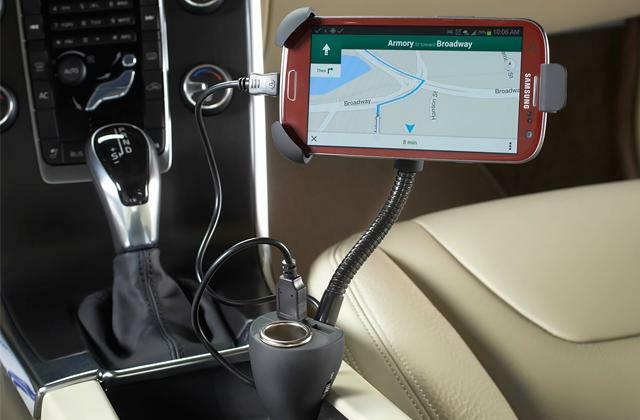 Back to the advantages, we'd like to point out that this model can be charged using a USB port. 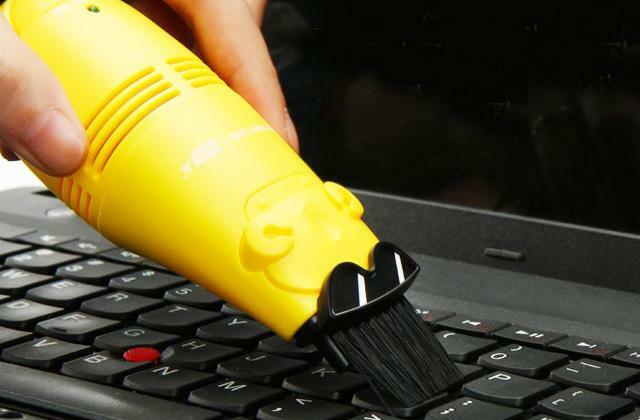 In a way, it simplifies the use quite a lot. And there are some technical upgrades. 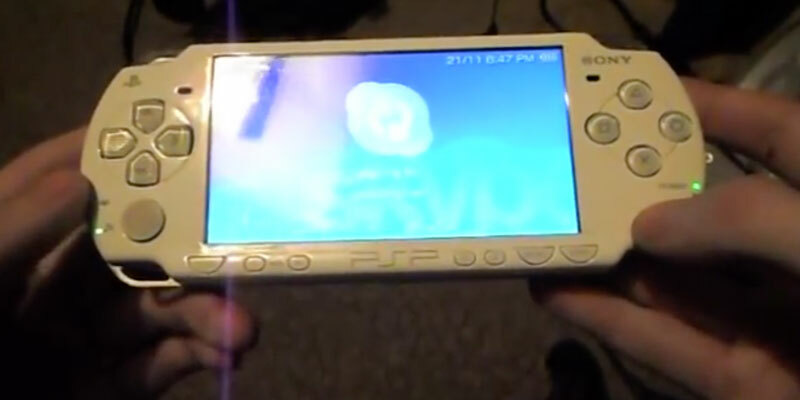 Sony designed this gaming console in a way that allows the data from UMD disk to cache into the PSP memory so that the game loading process took less time. And the RAM has been expanded to 64MB. It is not a Nintendo DS or Gameboy, but it is still a great console, even after all these years since it was created. Especially considering that its technical support by Sony is performed in full. Your children spend hours driving their new cars in Need for Speed races? Buy an RC drift car and let them take part in "real" RC races. 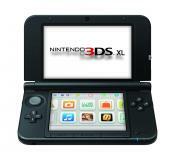 New Nintendo 3DS XL is a better, upgraded version of everyone's beloved Nintendo portable consoles series. A 4.88'' 3D screen provides even higher quality graphics, both in 2D and 3D. There are two cameras located on the front part of the model which are used to identify the angle of view and adjust the screen accordingly. So no matter from which angle you'll look on the screen, the image will be clear allowing you to fully engage in the gaming process. Stereoscopic cameras on the back make great 3D photos. They were improved by developers, massively increasing the quality of photos made in a low light. 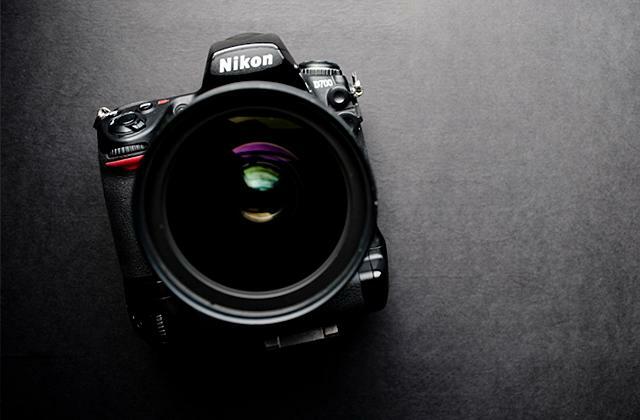 Each camera's resolution is 640x480 pixels and they are both of 0.3MP and use the CMOS technology. The Nintendo company is over 125 years old. Can you imagine how many interesting facts could accumulate for such a long time? The first game ever that Nintendo offered to the market was the handmade Japanese playing cards called Hanafuda or "Flower cards". They became popular so fast that the company founder Fusajiro Yamauchi had to hire additional staff for mass production. Throughout the company history Nintendo changed the name quite a few times, however, the "Nintendo" part was always present. Now we know it as Nintendo Co., Ltd. The first subsidiary in the US was opened by Nintendo in 1980. The same year the first LCD handheld game series for Nintendo, the Game & Watch was developed. It was also the first LCD game console with a microprocessor. The very first Game & Watch game was called Ball in Japan and Toss-Up in the US. During the years the Game & Watch was being manufactured from 1980 to 1991, the number of games created for it exceeded 40. It included the world-known Mario Bros./Super Mario Bros., Popeye, Mickey Mouse, and Zelda. 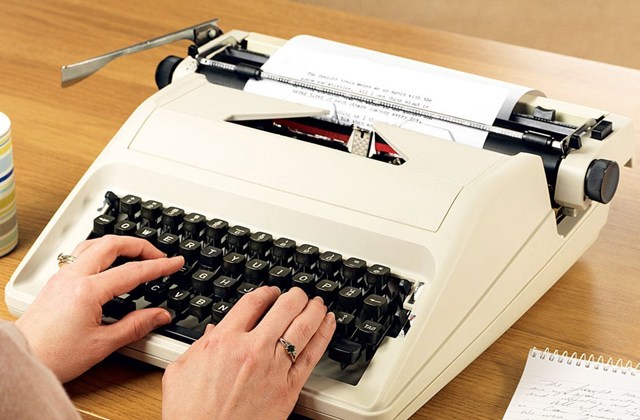 The technology of those years was not enough to create a really long gameplay, so the game designers intentionally made the gaming process more difficult. This way, the users spent more time on a single game. One of the major breakthroughs for Nintendo was the release of the Donkey Kong game. The game featured a character named Mario who had to rescue his princess from the giant gorilla. The way to the princess had obstacles like walls Mario had to jump over, brake, or climb. The Donkey Kong was the first game featuring Mario and was followed by a large number of other games about him and, later, his brother Luigi. 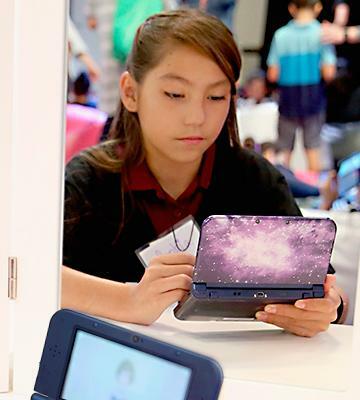 Today Nintendo is firmly in the top video game developers list, and its New 3DS XL model does really deserve the attention. The 3D display and convenient controls will make you lose yourself in the game. And if you've been a fan of Nintendo before, you will probably be pleased to know that Nintendo New 3DS XL handheld console supports cartridges from earlier editions like 3DS and DS. A great way to fire kids' imagination and awaken their craving for exploration is to give them an adventurous book. We are sure that your little one will be absorbed for hours in reading one of these dragon stories. 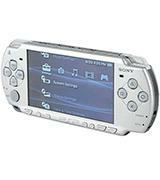 Sony PSP Slim & Lite 2000 Console: 4.3 in. Nintendo 3DS XL: 4.88 in. 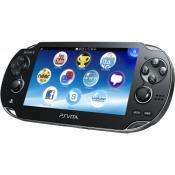 Sony PlayStation Vita WiFi: 5 in. If you are looking for a portable and multifunctional handheld gaming console then you definitely need to pay attention to this model from Sony. It’s one of the best handheld gaming systems in the world! So, let’s have a closer look at Sony PS Vita specs. It has a mind-blowing 5" OLED screen with 960x544 resolution, its graphics are rich, detailed, and bright. There is a touchpad located on the back panel, which will simplify gameplay and allow you to change a viewing angle in some games. In addition to standard elements of controls, 2 joysticks are included to provide easier and more comfortable gameplay. 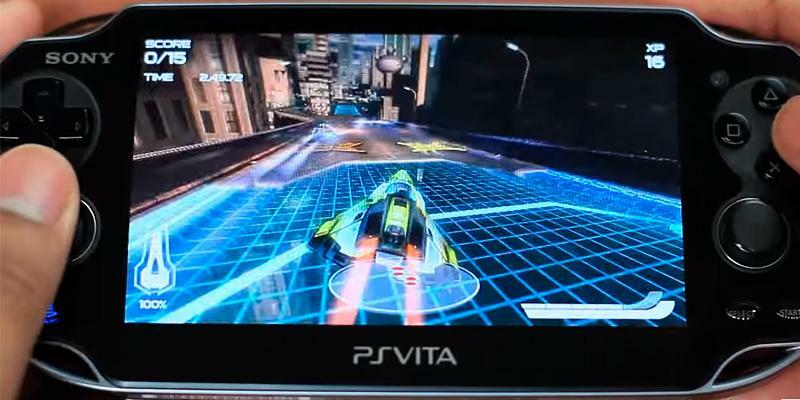 Also, Sony PlayStation Vita has 2 shift buttons on the side, which are in great demand for playing most action games. The functional buttons for volume control and "home" are very smartly located and are in fingers reach. 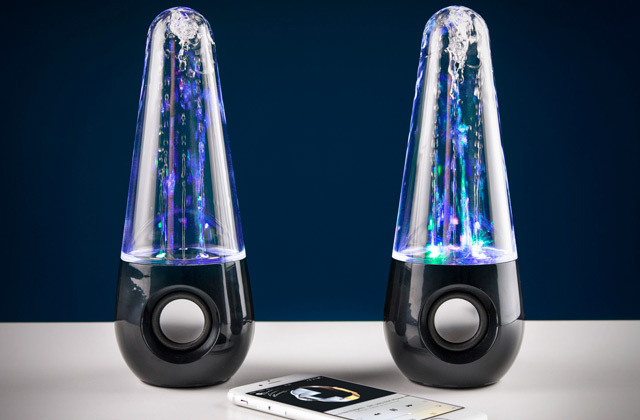 Speakers are located on the front panel, creating clear and quality sound when playing games. 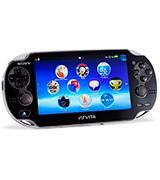 This Sony handheld game console will offer you a chance to play a great variety of interesting and popular games which you can either download into its built-in memory or to memory cards. At the moment more than a thousand video games of all types and genres exist for this device. The built-in memory is 1Gb, which is plenty to store all your games plus some extra multimedia content. 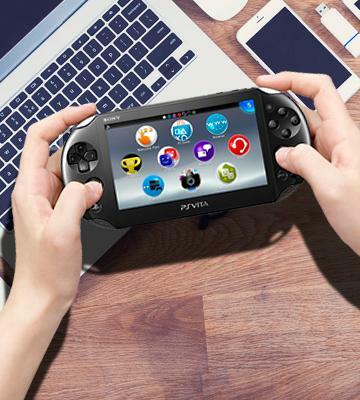 This portable video game console is also equipped with an ARM Cortex-A9 quad-core processor with 2GHz clock rate and 512MB RAM, so all the games will run at an incredible speed and using PSP handheld Vita console will bring nothing but pleasure. 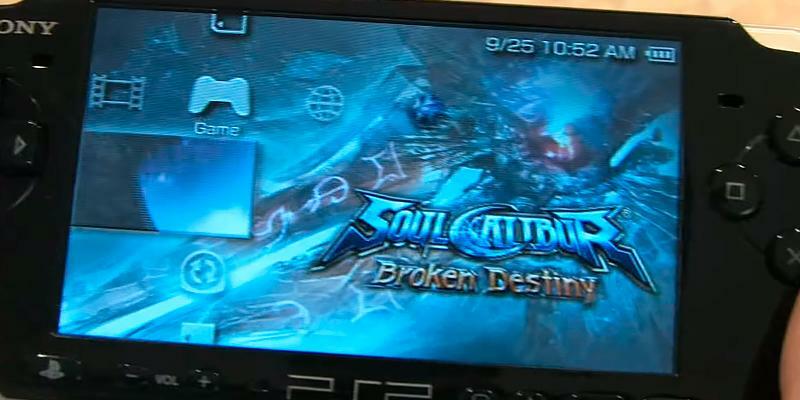 Also, a new interface is brought to life in PlayStation Vita, its main difference being the LiveArea window. It is present in each app and was first introduced on the 27th of January, 2011 during the PlayStation Meeting along with the PlayStation Vita itself. In this window, you can observe your friends' latest activity, tutorials and also app icons. This interface allows you to use apps in a window mode and also in a background mode, allowing you to run another app immediately. It supports up to 10 desktops with up to 10 icons in each. This newest handheld gaming system has collected all of the latest developments and is equipped with a big range of games to choose from. 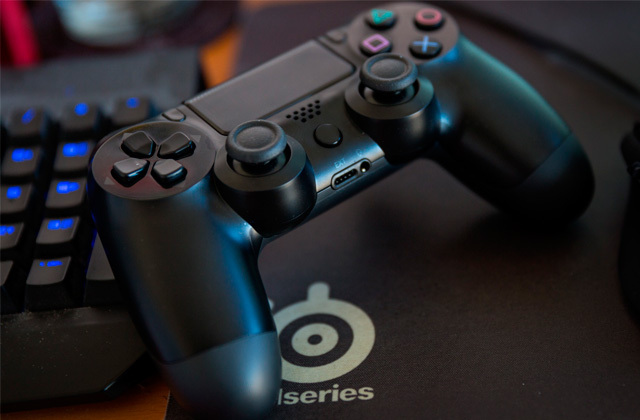 It is compatible with PS4 and allows you to play PS4 games via a local connection when your console or TV is out of reach. Summing up our Sony PS Vita review, we would like to point out that it’s truly one of the best portable game systems available for sale. If you like games, you might be also interested in our video game consoles review. 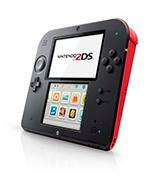 Among all the consoles of the Nintendo 3DS Family, this 2DS model stands out rather particularly. Its body is one-piece and you can't fold it like other models, but instead, it is very compact and portable. There is just no need to fold it, really. 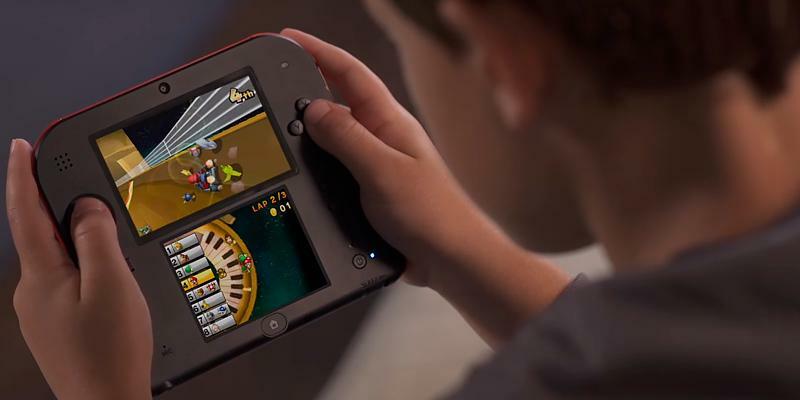 The 2DS console is smaller than the 3DS and 3DS XL, it is more comfortable to hold, especially in small hands of your kids. The console still features two displays that complement each other by showing different important elements and menus. The lower display is a sensor one, it simplifies the selection of functions and control greatly. Note that it is recommended by Nintendo to use a special stylus with this display, delivered with the initial purchase. 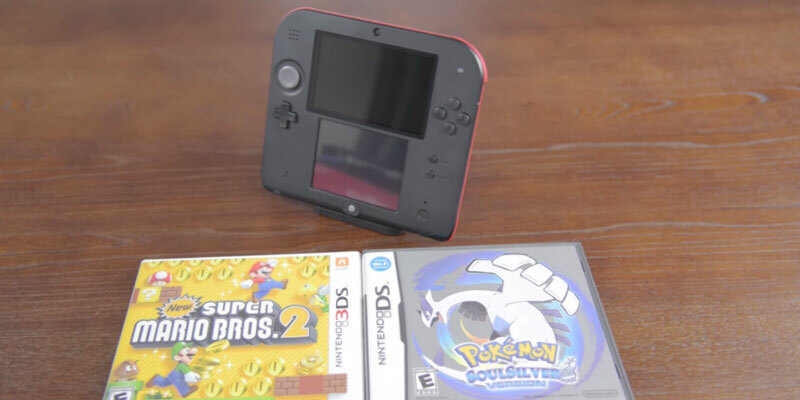 The 2DS portable game device has standard elements too, like a joystick at the left that can be used for movement inside a game. The buttons are located in the most thought-out way, for the player to reach them easily. 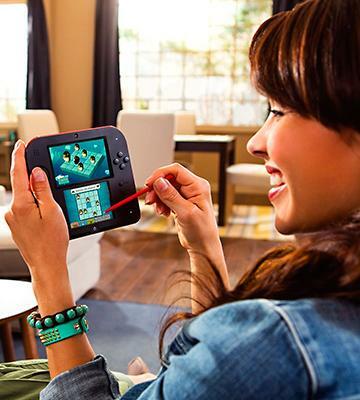 Aside from multimedia options like audio and video playback, the 2DS personal game system also features the Mii service. 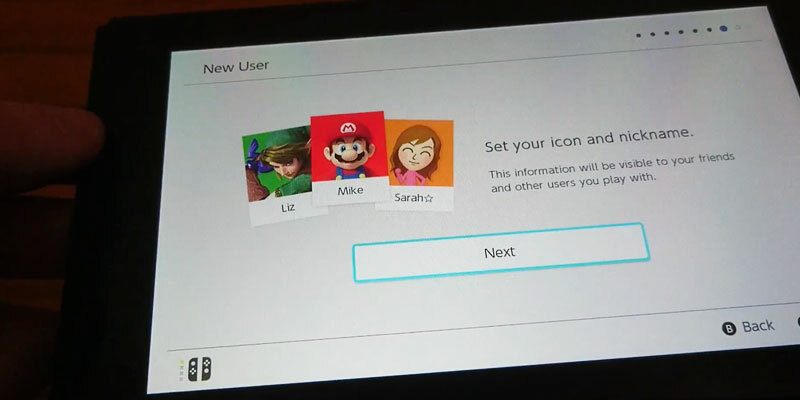 The MiiMaker will offer you the possibility to create a virtual character and upload it to the special network to interact with other players in chat rooms, follow their achievements, or just share some news. The unique editor not only allows creating a character using presets. With a specific tool, you can make the character look like you from any photo! The range of editing options is really great, so you will easily create a character that will look like no other. Then you will be able to upload him or her to the network and play with friends, holding contests in various games. Communication is important, and with this handheld gaming console, you will find new friends in a blink! If you and your kids are fond of the epic Star Wars saga, you need to get realistic lightsabers to enjoy exciting dueling! Sony PSP Slim & Lite 2000 Console: 0.4 lbs. Nintendo 3DS XL: 0.74 lbs. Sony PlayStation Vita WiFi: 0.5 lbs. This thing has a lot of capability such as touch screen, wi fi, etc. The design fits nicely in hands but the buttons do have a weird feel but isn't that noticeable. The battery lasts long and the system is in perfect condition, even a year later. Perfect, have lots of fun. The Mario Kart game is a download code. 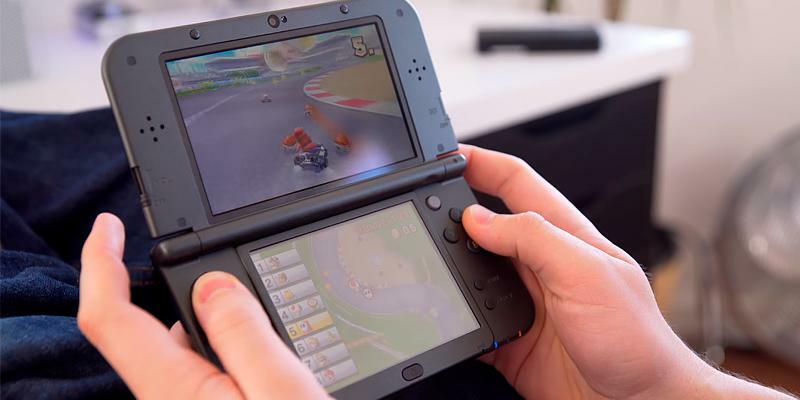 Handheld gaming consoles are portable and lightweight gaming devices, they allow the user to play video games as well as access a variety of multimedia content. Although their popularity has dropped due to mobile apps development, there are still plenty of entertaining high-quality games for consoles exclusively. In our review, we take a look at 5 best portable game consoles, so everyone would be able to find the one that makes a perfect match for them. For those of you who are video games fans, we would also recommend having a look at our gaming laptops and gaming PCs reviews to find a perfect gaming device for you. When choosing this personal gaming system, first pay attention to its Appearance in order to decide on the most suitable one for you. One of the most important elements of handheld consoles is the screen, making its characteristics especially important. Check such features as size and resolution, so your eyes feel comfortable during the use and the picture looks good and sharp. Pay attention to which controls the specific console has, as it will give you a general idea about the gameplay. As well as standard movement pads and action buttons, handheld gaming consoles also have such controls as sliders, extra pads, side buttons, all to simplify the gaming experience and device's menu navigation. Check if there are extra functional buttons like volume controls or quick home access. More up-to-date devices are supplied with touchpads and touchscreens, making the process of gaming and menu navigation much easier. The weight of the device is also important, as the comfort of use directly depends on it. Pick a console that you feel would be easy to control and pleasant to hold. Other highly important features of portable game consoles would be Game Sources and Performance which both have a direct influence on the game content quality. There are several game sources available and we would take a look at them now. Some consoles have an optical drive, which allows playing portable console games from special discs. This method is usually used by the Sony company in its handheld gaming consoles. Another way to run video games is cartridges. They carry pre-downloaded games on them, same as disks, and are suitable for consoles with a specially designed slot for their insertion. Nintendo is known for applying this method to its models. Often the model also has a certain amount of built-in storage, which allows you to buy games directly from the online shop and download them on the device from the Internet. When choosing technical characteristics pay attention not only to the main like processor and RAM but also to the amount of built-in memory and types of memory cards supported, as they imply how many games you'd be able to download and play. Also, we would advise you to keep an eye out for model's Special Features, as some of the handheld gaming consoles offer much more than just an ability to play portable video games. 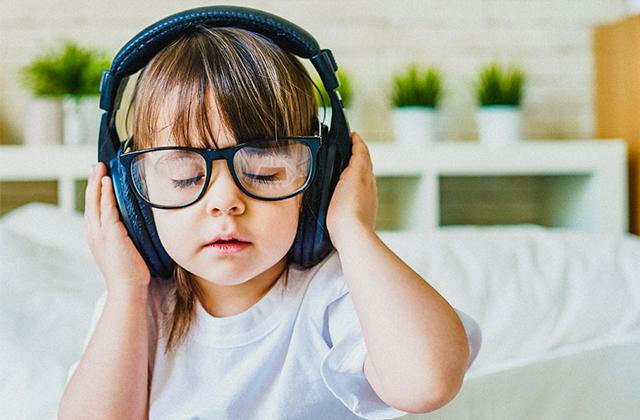 When not playing you can, for example, browse the Internet or even watch online videos. There are countless apps that will let you expand the activities you spend your time on using the console. You can chat with your friends via social media or messengers. Some models have an option of downloading movies and music, with an ability to play them on a device later. Pay close attention to the wireless technologies of the model and all the interfaces to gain a full picture of its functional abilities. Another important characteristic is battery life, the size of the accumulator is a key to how long the handheld gaming console can be used on a single charge. 1. Pramath Do Handheld Game Systems Have A Future? GamingBolt. October 25, 2015. 2. How to Choose a Handheld Video Game Console, wikiHow. 3. Handheld Game Console, Wikipedia. Last modified on August 24, 2016. 4. PlayStation (console), Wikipedia. Last modified on September 12, 2016. 5. 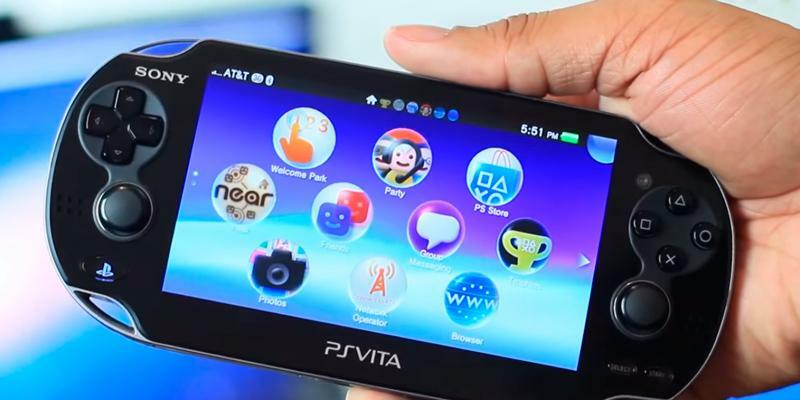 Zorine Te Why You Should Buy a Vita in 2015, GameSpot. January 27, 2015. 6. Scott Stein Can the iPhone 6 Replace Your Gaming Handheld? CNET. September 22, 2014.